I remember thinking when I first heard Sara Evans sing “Cheatin'” that it was the best record Reba McEntire hadn’t recorded in a long time. 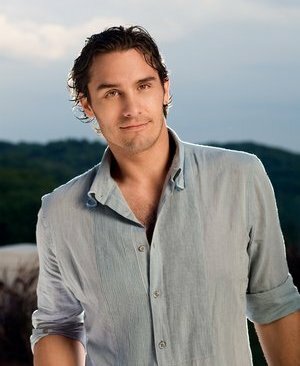 Listening to the new Joe Nichols single “The Shape I’m In”, I’m thinking the same thing about George Strait. Perhaps it’s just because “The Breath You Take” is still a fresh disappointment in my mind, but I can’t help thinking Strait would’ve knocked “The Shape I’m In” out of the park. That being said, Nichols does a good job himself, in a vocal performance that is so inspired by Strait it might as well be an homage. It’s a great song, too. Classic country heartbreak theme, quite a few clever lines, and an altogether realistic account of a man begrudgingly coming to terms with the end of a relationship. Nichols captures the slowly dawning optimism of the lyric well. The sun might be coming up, but it’s still a cloudy morning. I’m not a big fan of the song’s production, but it has good lyrics and vocals. A- is just a little more generous than what I would give it. It might get a B+ from me. I can definitely agree that “Cheatin'” was an awesome song. It should have been an even bigger hit than what it was. …i hear where you’re coming from regarding the strait angle of this one. it’s really good to see that joe nicols is back firing again on all cylinders. ben, just wait a few years and you might find that those loud guitars just ain’t loud enough to reflect the shape you might be in. keep up the good work. 3 singles from “Old Things New” – 3 strikes. (I’m watching my Yankees as I write this.) I have Joe’s first 4 cds but I’ll pass on this one. Maybe I’ll buy a song or 2 from the rest of the album on I-Tunes at some point. I like Joe’s voice but to my taste the material could be better, even on some of his earlier albums. Also, it seems a bit strange to me that a guy just out of rehab would add a song already on a previous album that contains the lyric “hey, I got a good idea, let’s get drunk and fight”. This is one of the album’s better songs, and will probably be a decent-sized hit, but “Old Things New” and “An Old Friend of Mine” have the potential to be career singles. If there’s a lesson to be learned from the success of “The House That Built Me”, it’s that once you finally have momentum, aim for the stars. Lessons learned? By major labels? That’ll be the day.